Westpac chief executive and managing director Gail Kelly has been awarded the highest honour at the University of New South Wales - the degree of Doctor of Business, honoris causa. Kelly was one of six eminent Australians to receive honorary degrees in the University’s most recent graduation season. She was honoured for her years of service to the education sector in Australia. Renowned for her focus on customers first and her inclusive approach to leadership, Kelly has been head of the Westpac Group since 2008. 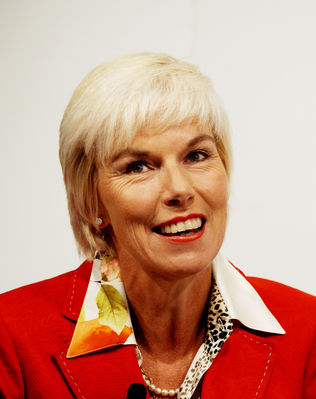 In 2002, she became the first woman to lead a major Australian bank when she was appointed CEO of St George. Reading Mrs Kelly’s citation, UNSW Deputy Vice-Chancellor (Academic) Professor Ian Martin said it was difficult to detail all her significant achievements and contributions. Contribution from the bank continue, with Westpac recently announcing the most significant act of corporate philanthropy in Australia’s history - a $100 million grant to establish an endowed education fund. The Westpac Bicentennial Foundation is designed to work in partnership with Australian universities, supporting programs that bolster Australia’s ties with Asian economies and increase its competitive position in technology and innovation. More than 10,000 students will benefit from the program, helping to open a path for Australia’s future prosperity.